- Refrigerate: put in freezer or freezer for more than 15 minutes to use. - Heat: microwave oven (high temperature) for 3 minutes or boiling water for 5 minutes. - Food grade PVC folding soft bag. - Food grade freezing liquid is safe and non-toxic. 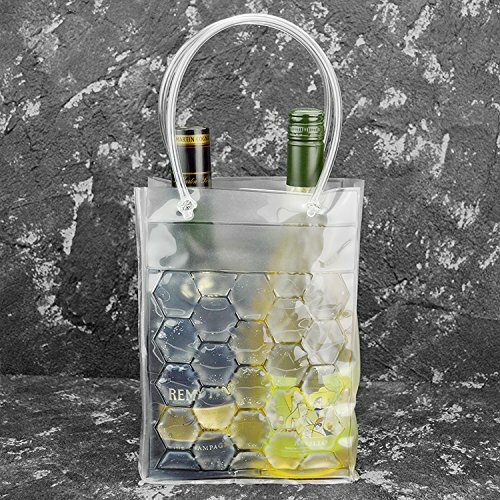 PREMIUM QUALITY WINE CHILLER BAG - Beautifully keep the drink in a stable low temperature and remain ice-free at -18 degrees! Repeated use of cold and heat can be repeated numerous times.You can still stay soft after freezing. If you have any questions about this product by HJD, contact us by completing and submitting the form below. If you are looking for a specif part number, please include it with your message.